The enchanting Villa Erzulie is truly a tropical delight situated on Barbados’ ivory-white platinum coast. 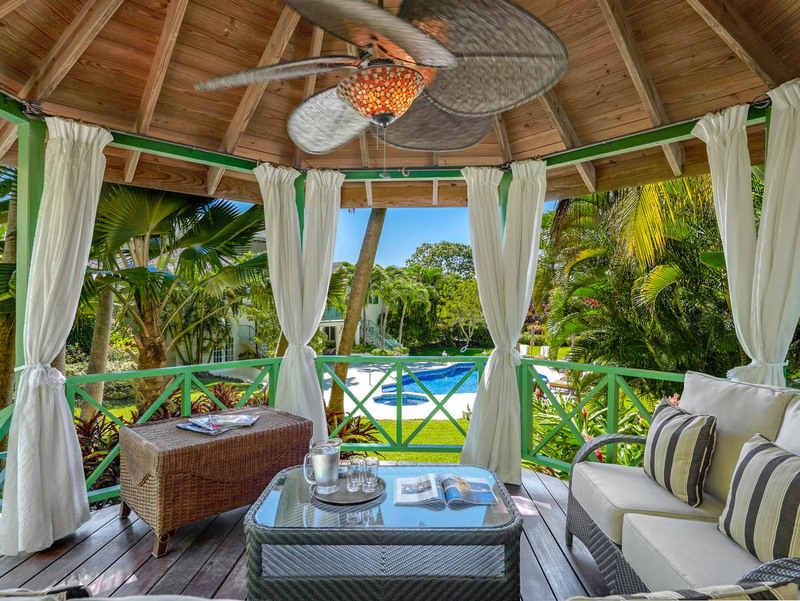 This stunning holiday home provides a wonderful mansion to relax in while enjoying the best of the Caribbean. 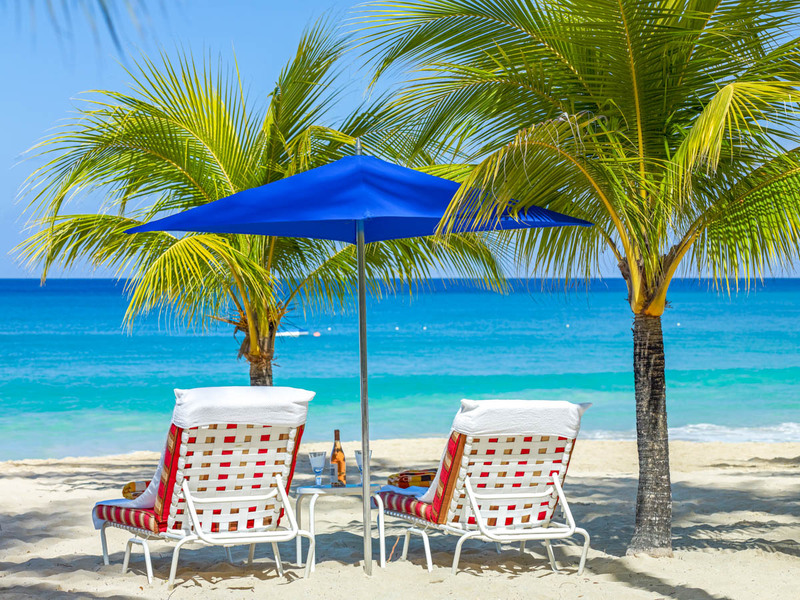 Surrounded by towering palm trees, Villa Erzulie is located on the prestigious Sandy Lane Estate where you’ll be exceptionally looked after and made to feel at home. The private outdoor swimming pool sits just in front of the villa’s magnificent patio and entrance and benefits from Roman steps allowing easy access for all. 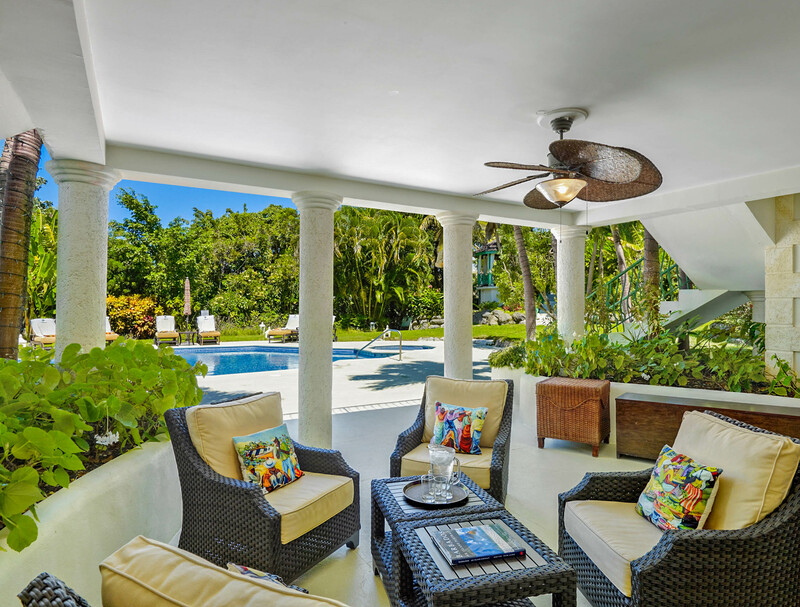 Guests will be able to enjoy dips in the pool in between lounging on the patios quaint and cosy dining area perfect for al fresco eating during the day and night. For guests who wish to dine even closer to the stars, the villa boasts a large and furnished terrace on the first floor that looks out onto the beautiful tree-filled garden and surrounding nature. Villa Erzulie is an elegant and spacious property that contains high ceilings, white walls and exudes plenty of natural light. With windows looking out onto the garden, the living area comes complete with enough seating areas for all guests to lounge on. 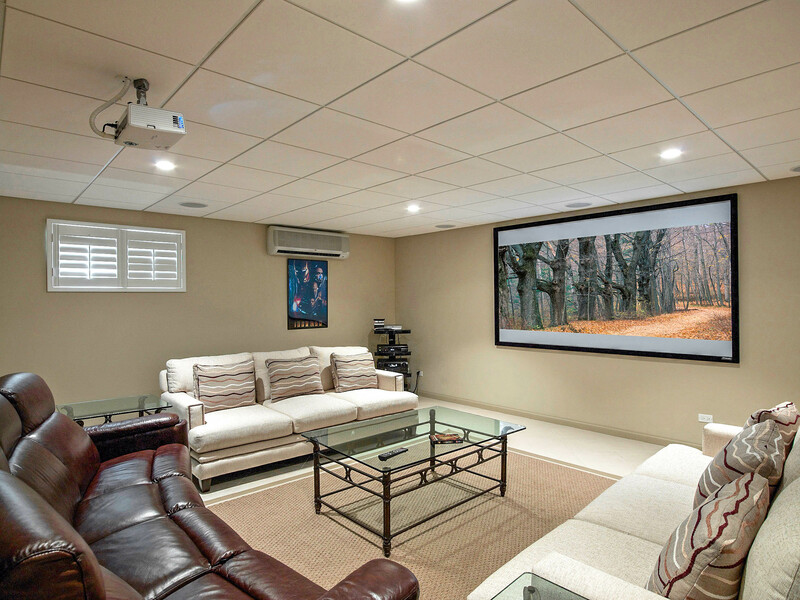 It sits next to a spacious open plan kitchen area with a social middle counter that is surrounded by bar stools. At Villa Erzulie, every room is unique and all nine bedrooms come with en-suite bathrooms and air conditioning. If that isn’t enough, each bedroom is also equipped with walk-in wardrobes and flat-screen televisions. 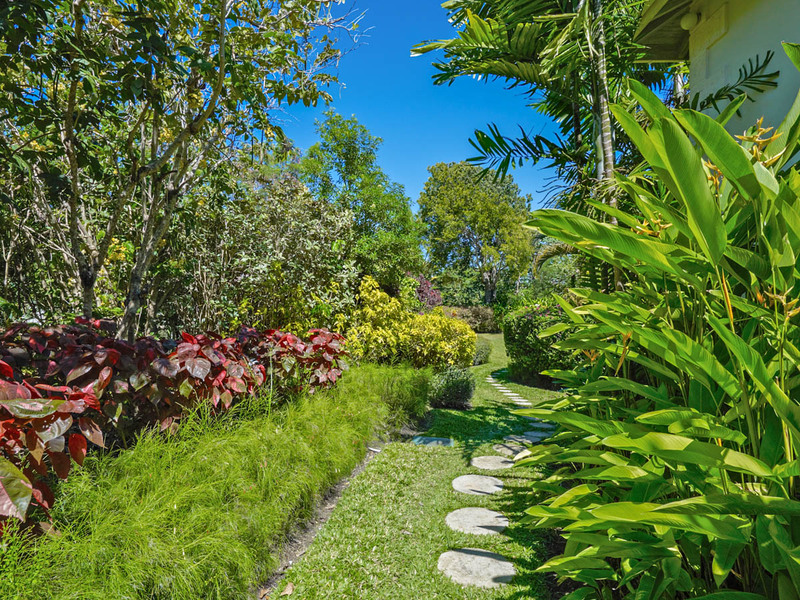 The garden is perhaps the most superb feature of the villa, as it should be for a holiday to one of the Earth’s most loved tropical paradises. The private outside space is filled with flourishing ginger lilies, banana and coconut palms, neem trees and violet bougainvillaea. The garden is finished with a sizeable pool that is encircled by sun loungers that are situated perfectly for catching the never-ending rays of sun. 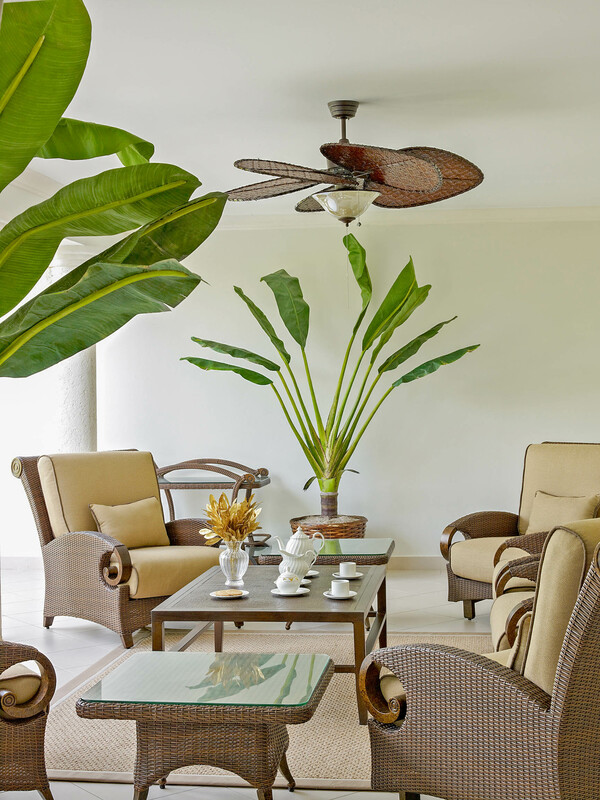 While staying at Villa Erzulie, your immediate surroundings will provide lots of varied entertainment. From tennis courts and world-class golf courses to a great selection of fine restaurants close by the villa, where you are bound to find something to suit your fancy. 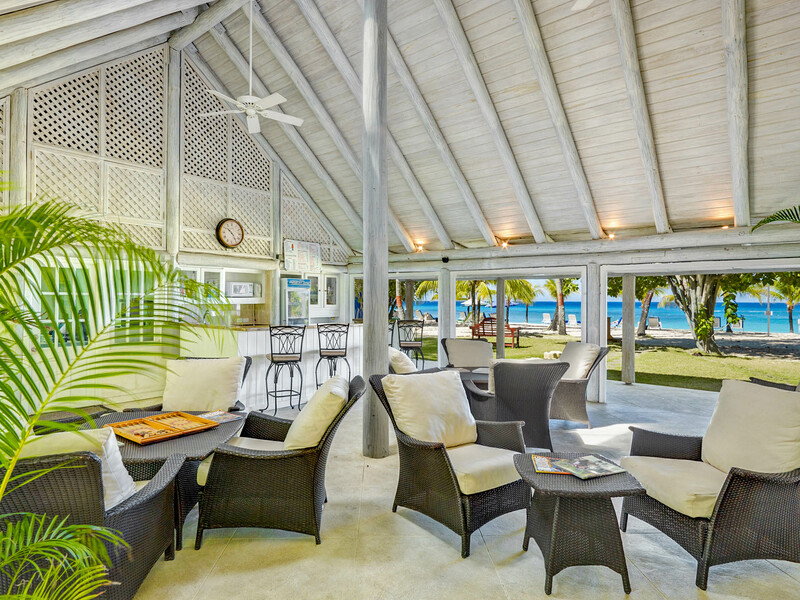 The Beach House Restaurant and Bar is located nearby and is open for lunch and dinner. The beachfront restaurant fuses Caribbean and Mediterranean cuisines that visitors can devour while overlooking the wonderful sunset view. Some of the signature drinks and dishes at this restaurant are coconut shrimp, macaroni pie and rum punch. 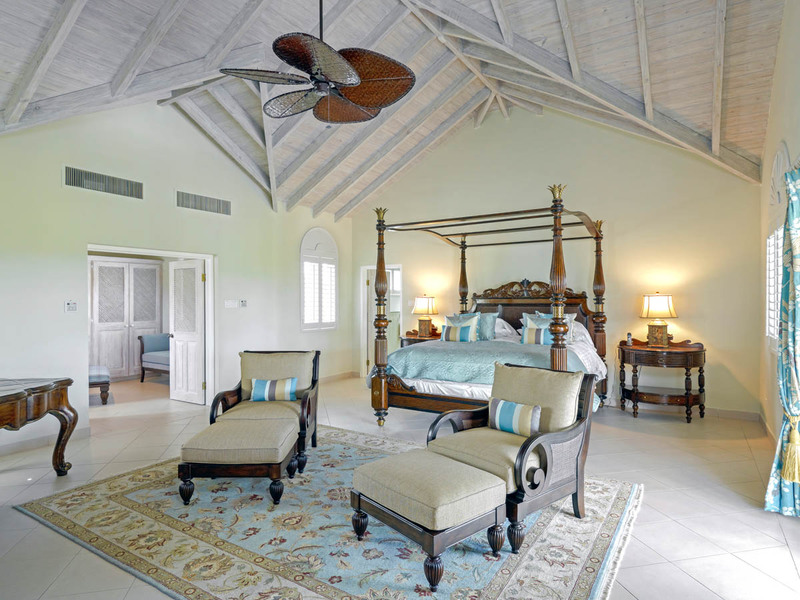 The villa is situated only a few miles south of Holetown where you will find the stunning Holetown Beach. 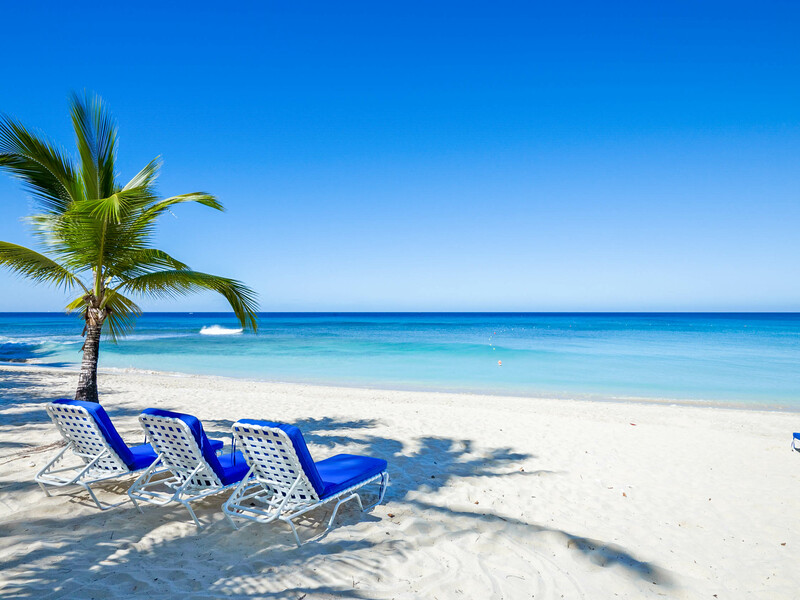 The beach is frequented by locals and tourists alike and is part of the eight miles of luxurious beaches that create the gold coast of Barbados. The beach is surrounded by many bars where visitors can enjoy local beers and cocktails under the hot sunshine. Swimming, kayaking and other water sports including water-skiing and jet-skiing are regularly enjoyed at Holetown Beach. There is also the option to rent sun loungers and towels. For those wishing to explore even more of Barbados’ natural beauty, luxury and private catamarans are available to hire. The catamarans sail through the gentle and vibrant turquoise waters, revealing the native marine life, reefs and miles of coast. Being able to see so much nature in one experience definitely makes for a lifelong memory.